Scroll down to see the full list of Sanghas (ages 18-35) in the world that practice in the Plum Village tradition. People seeking to form a new Wake Up Sangha/group are shown in purple. If you already have experience in the Plum Village (PV) tradition, you are invited to start a group! Please read a few basics on starting a group. If your group meets the requirements, please contact us and we will put you on the list. If you don’t have experience in the PV tradition, please visit the all-ages Sangha directory to see if there is an all-ages group near you. 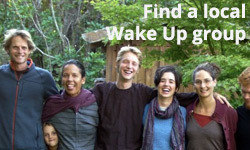 You can also join our newsletter and come back to this page regularly to see if a new Wake Up Sangha has formed. If you’re looking to be connected virtually, you can join the “Wake Up” group via the Insight Timer app on your iPhone/Android/iPad. Looking to start a Wake Up group!